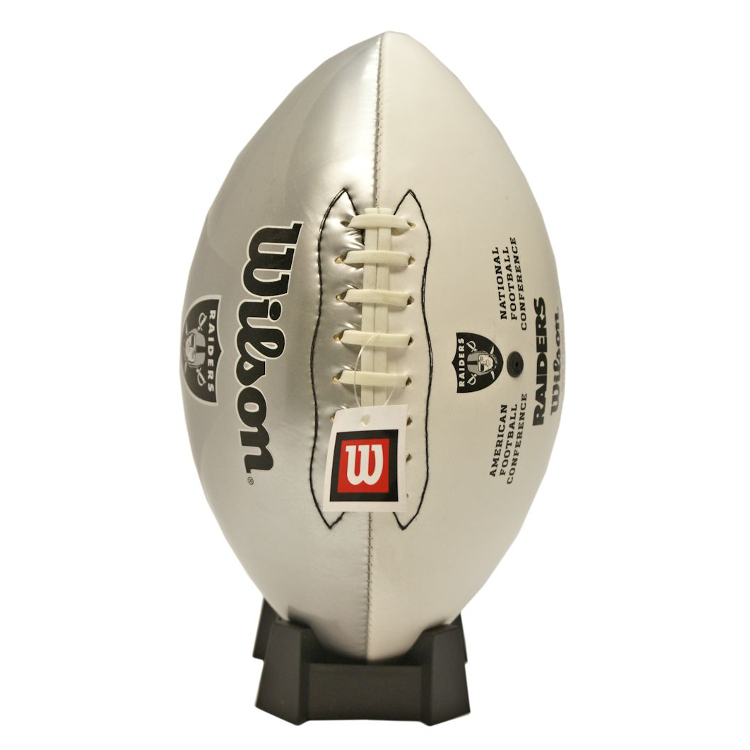 This regulation size Wilson football is perfect for collecting autographs, or for any fan to simply display in their home or man cave! It has 3 white panels and 1 team color panel. It also features the team name and logo. The football stand shown is not included. Also available for other NFL teams.